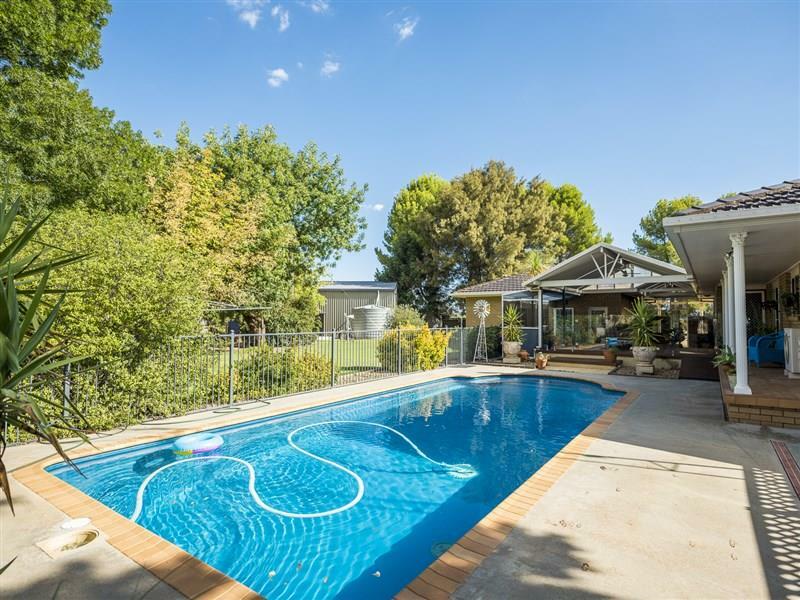 The owners of this property are ready to move on so here is your chance to buy this amazing property. 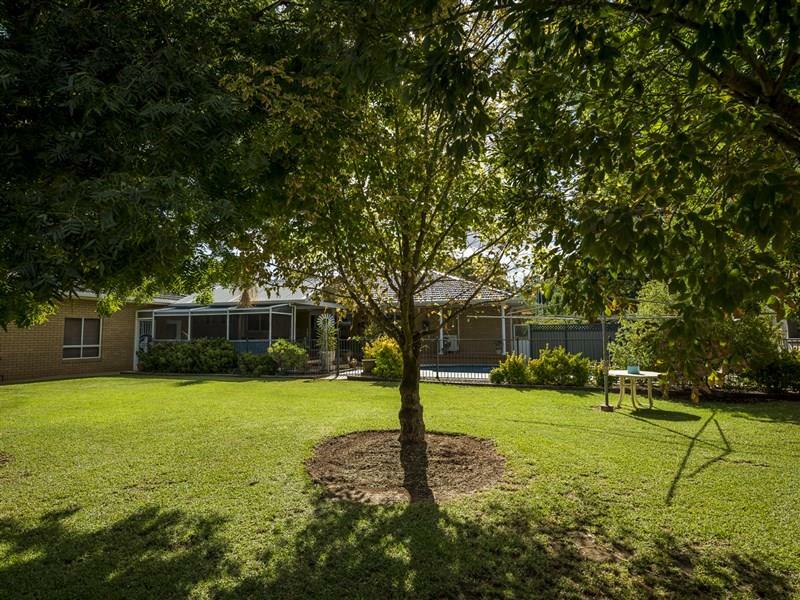 The home is positioned on 5 acres surrounded by established trees, beautiful lush green lawns and low maintenance gardens. 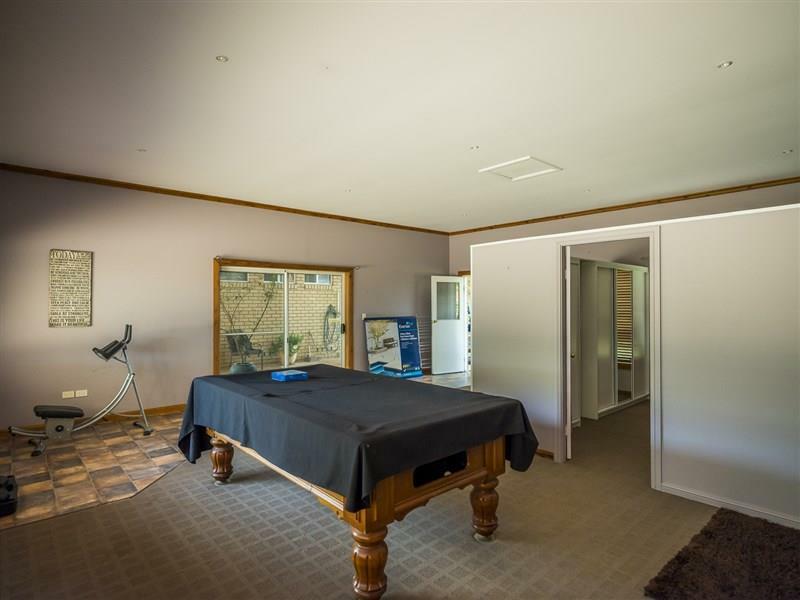 A spacious entry foyer welcomes you inside. 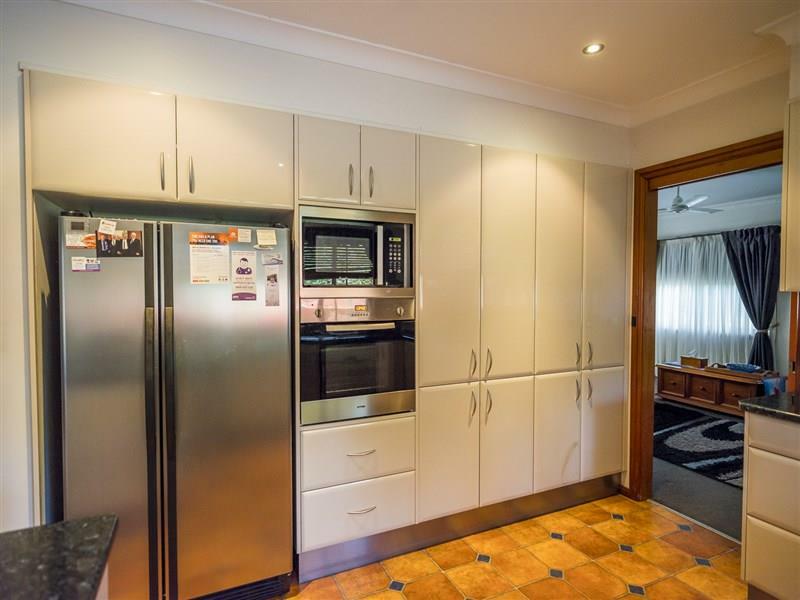 There is a formal lounge/ dining room,open plan kitchen which features a wall oven, glass benchtop hotplates, dishwasher and breakfast bar and is adjacent to the everyday dining and living room. 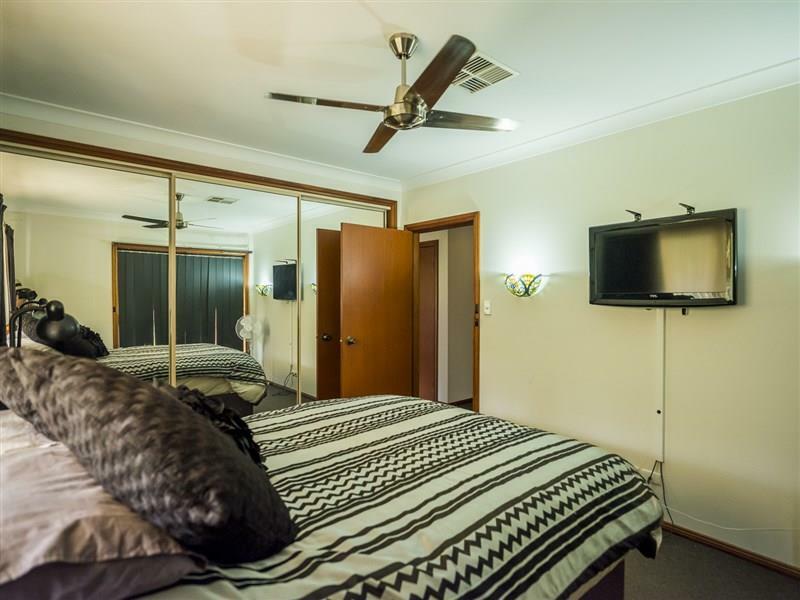 Three spacious bedrooms all have built in robes and are central to the main bathroom which has a spa bath, shower, vanity and there is a separate toilet. 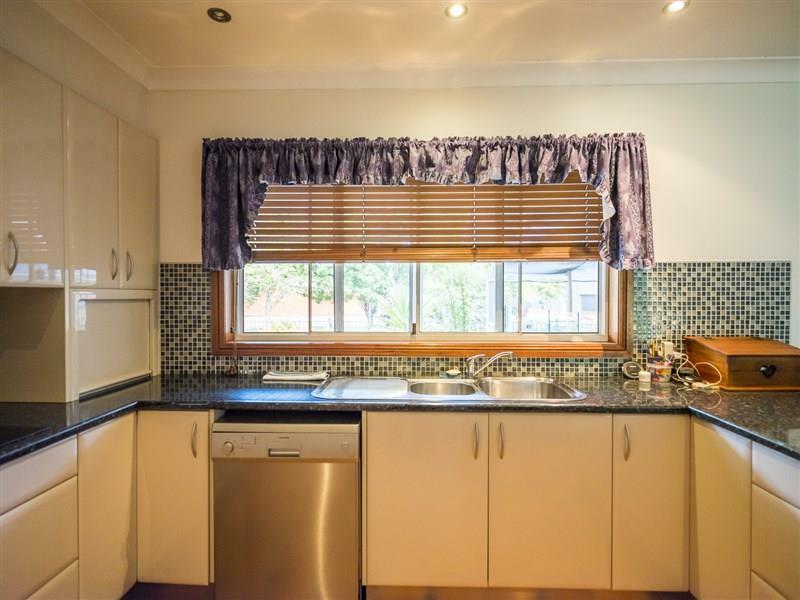 There is a second shower and toilet off the laundry. 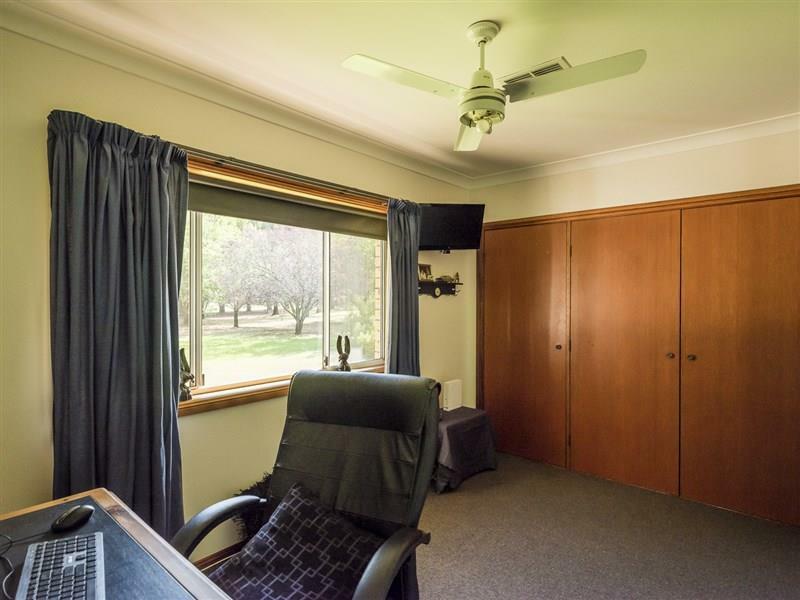 Climate control in the home is well taken care of with ceiling fans in all rooms, wood and gas heating and ducted evaporative air-conditioning .The fourth bedroom and huge rumpus room/ teenage retreat connect to the main residence via a covered breezeway and it includes a built in robe, Split system air-conditioning, a wood and gas heater. 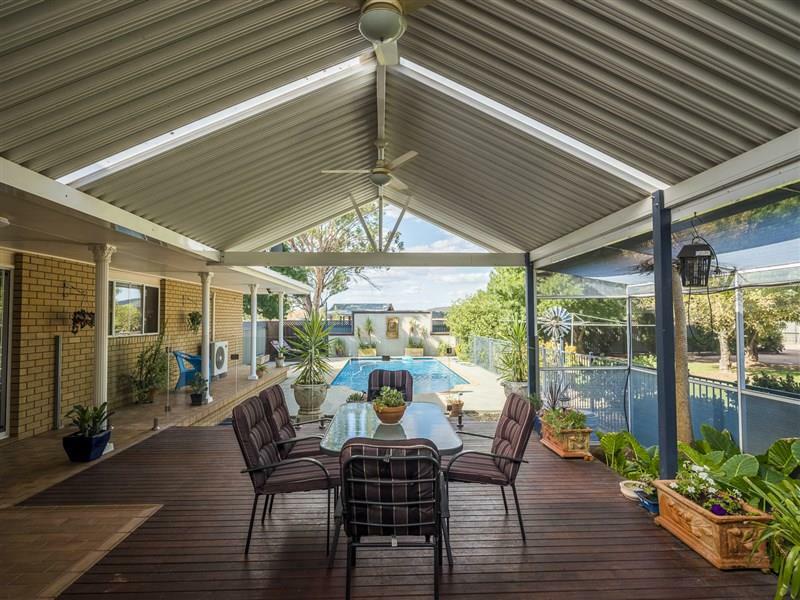 You will be delighted the minute you walk out the rear glass sliding doors onto an elevated covered deck perfect for all year round entertaining and overlooking the sparkling in-ground salt water pool. 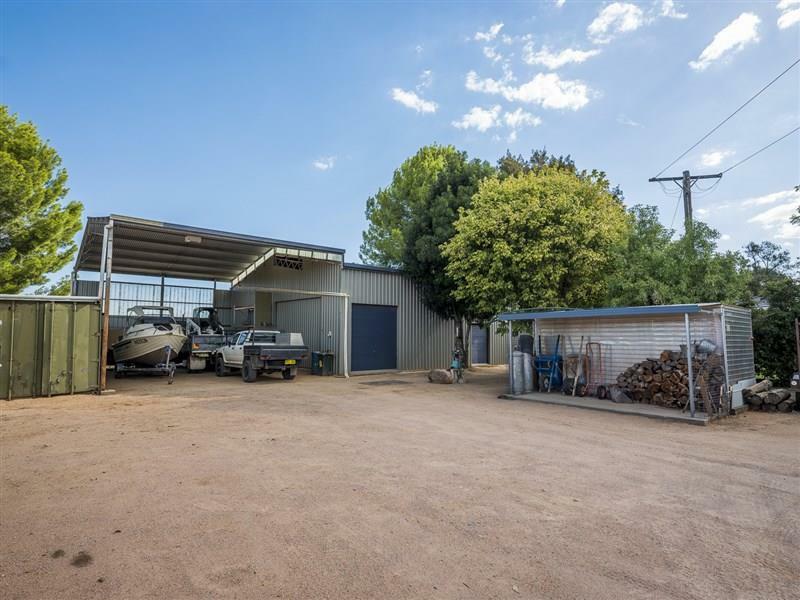 Behind the house yard is a huge shed/workshop with concrete floors and attached skillion. 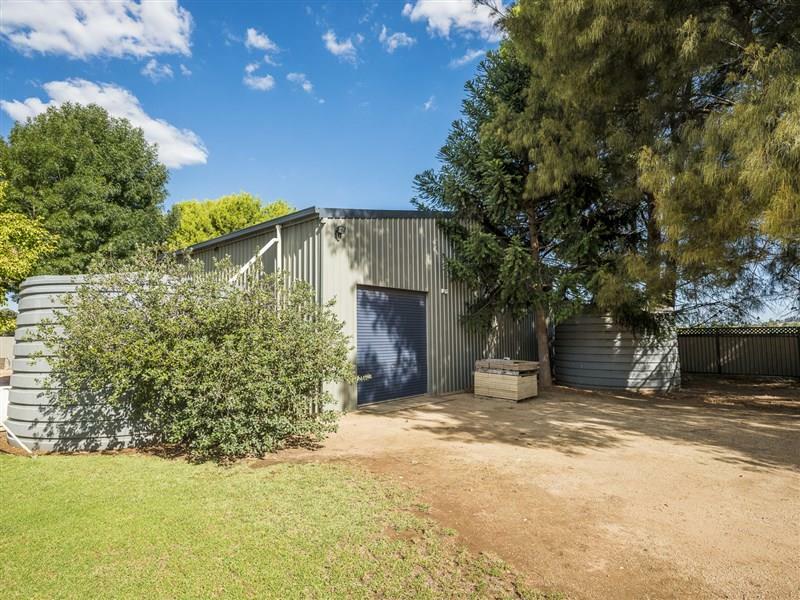 The shed in total measures 21mtr long 12mtr wide 4mtr high. 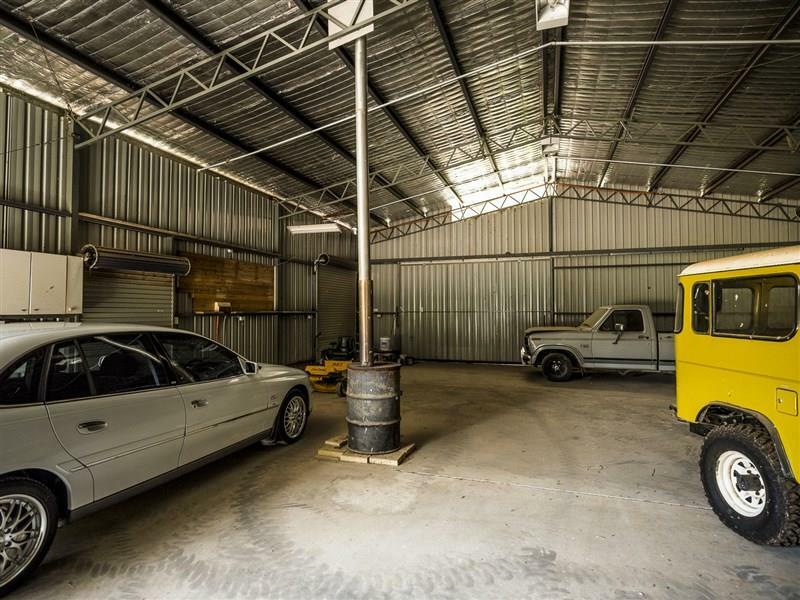 The skillion is 4.6mtr (large enough for a Semi-trailer) and includes wood heater and Pallet racks and roller doors on every side. 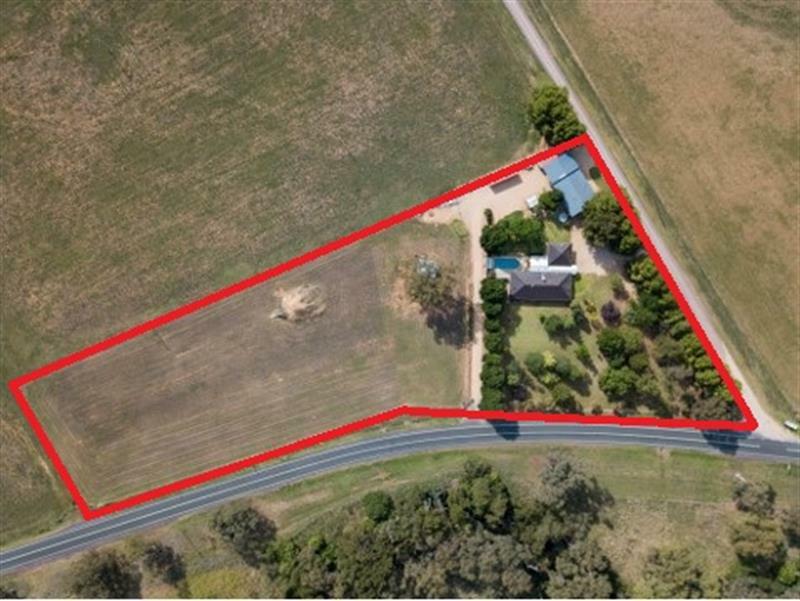 The shed and the house yard are well fenced and there are two entry roads on either end. 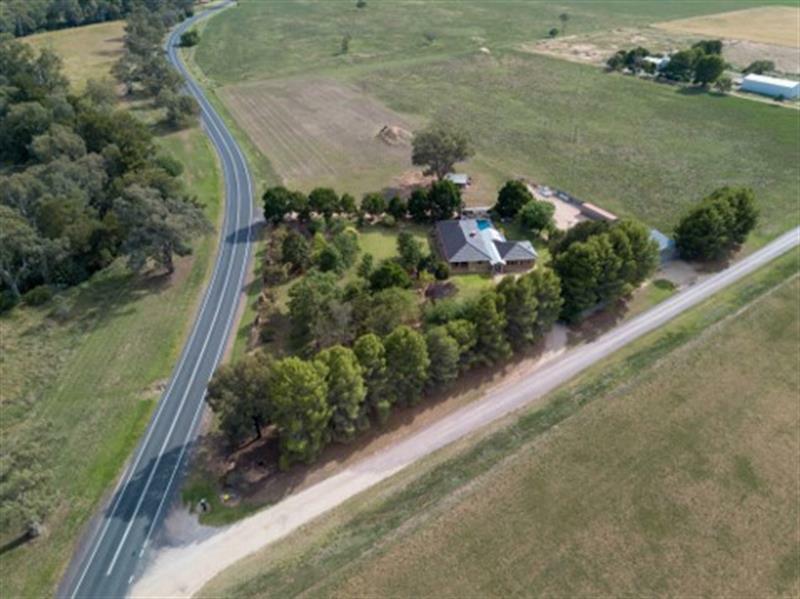 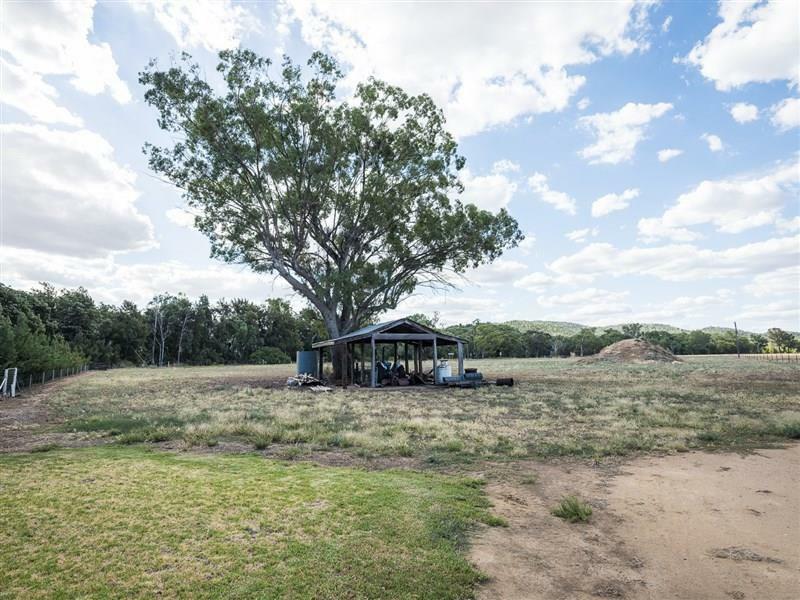 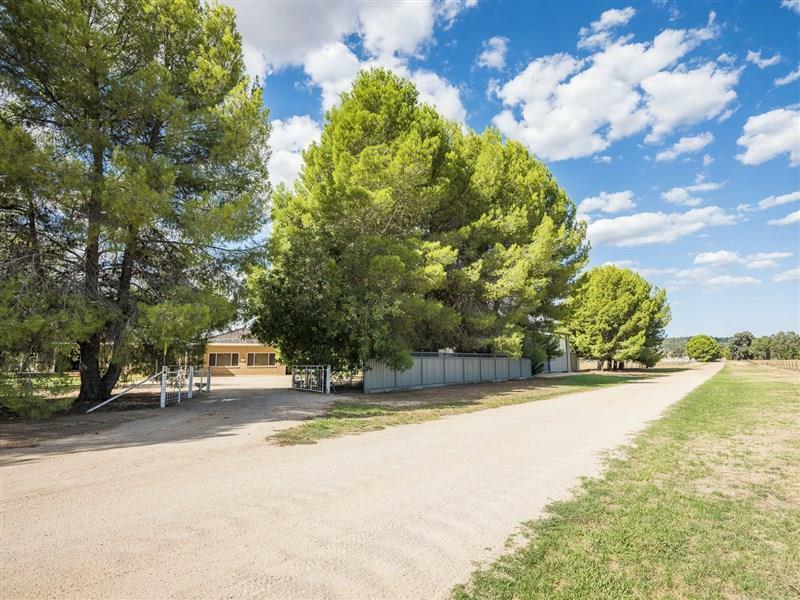 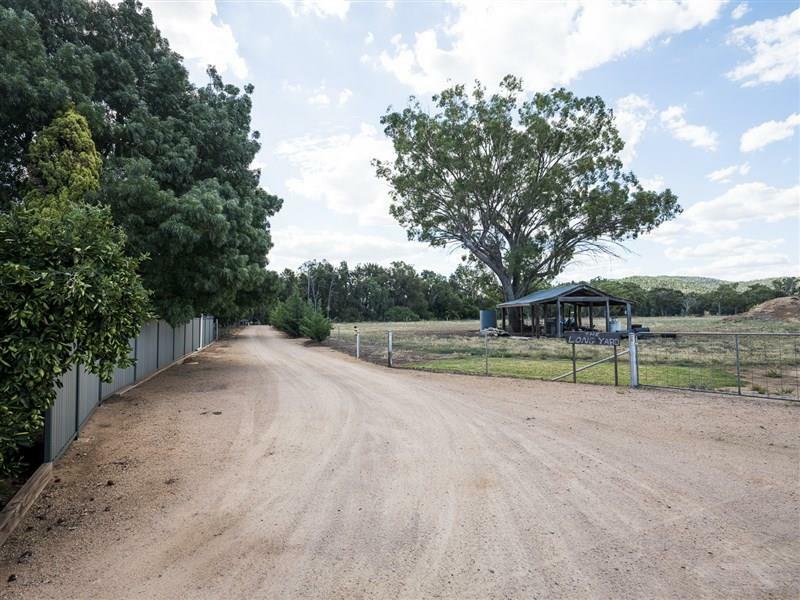 YES there is more, on the northern side is a large paddock which would be ideal for the horse lover or motor bike enthusiast, sprinkler system, bore,deep well injuctor (1,000 gal per hour), security system, 3x rainwater tanks (19,000gal storage). 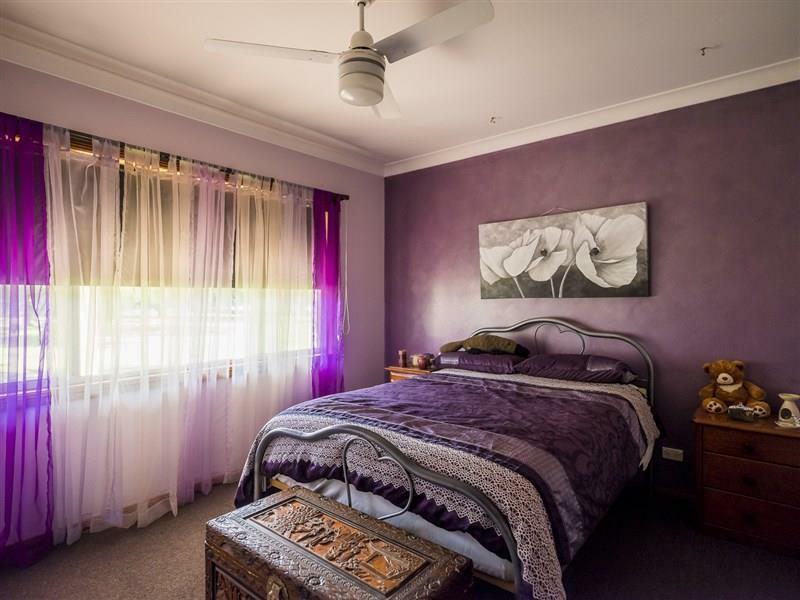 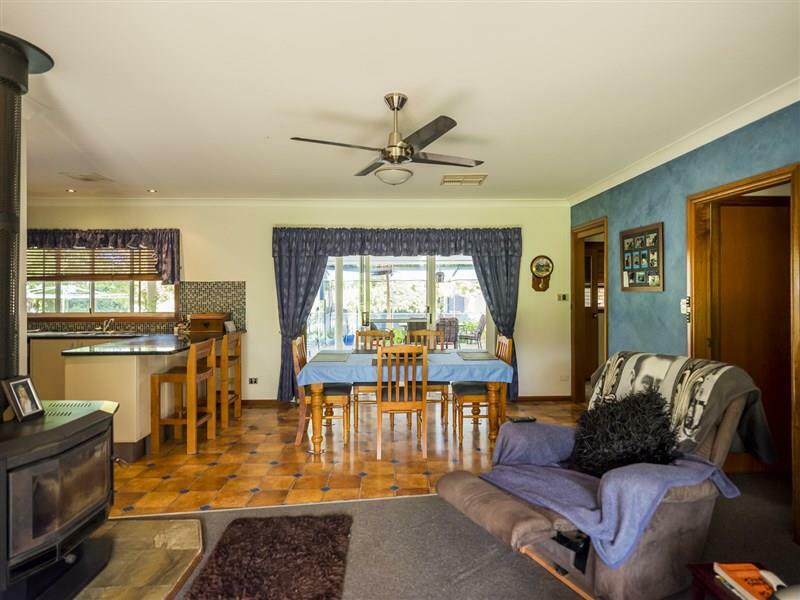 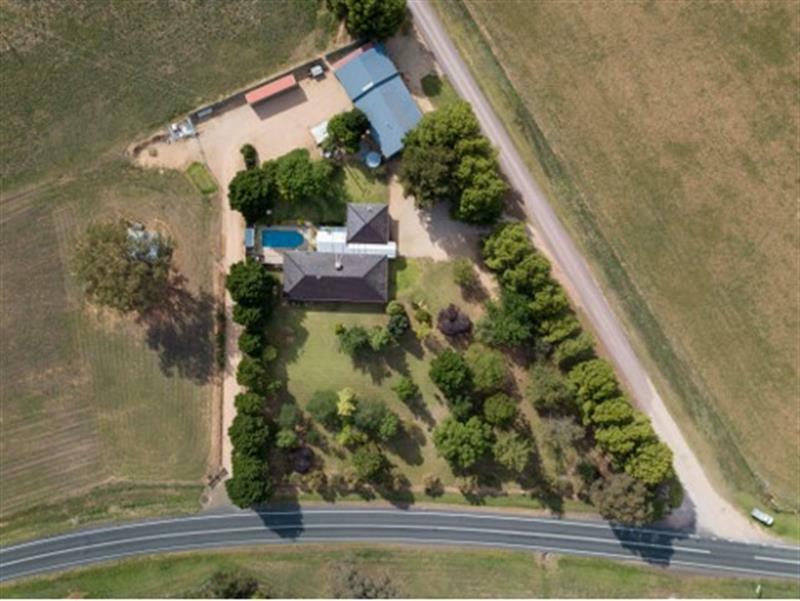 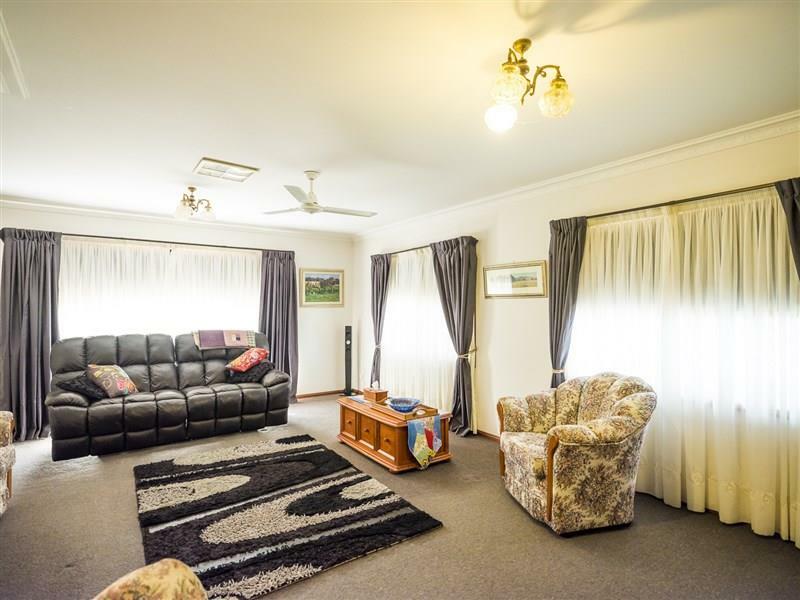 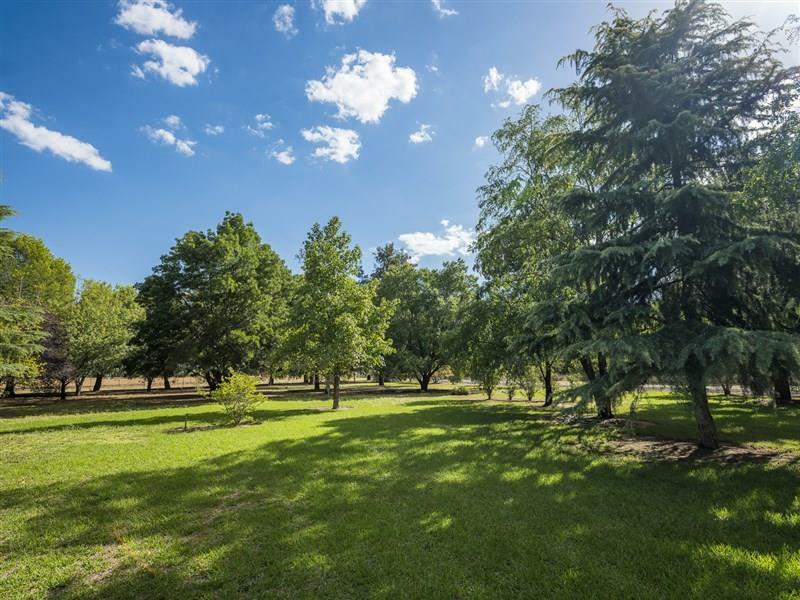 Dear Narelle, I am interested in 9 Hillview Lane, Eugowra, NSW 2806, Listing Number 2753812 which I found on http://ref.com.au.